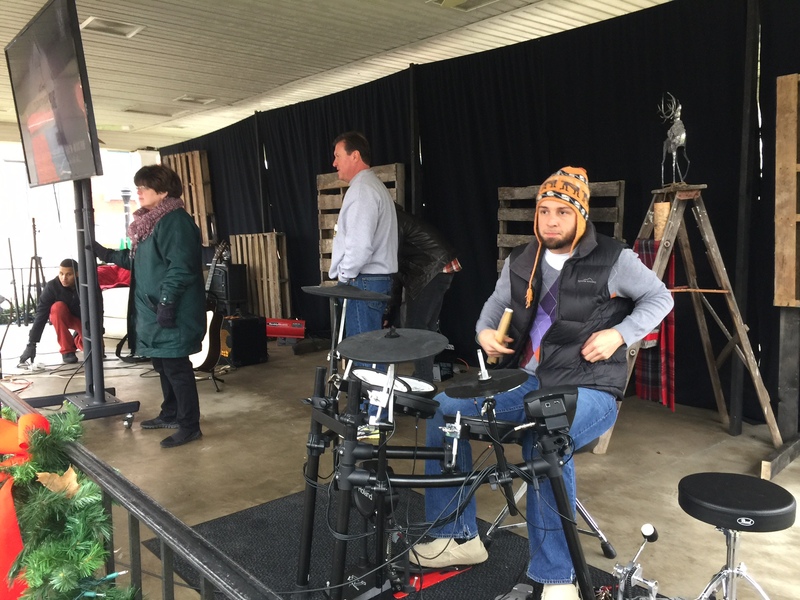 At LifechurchX, we tend to do things a little bit differently than one might eXpect from the standard religious sector. 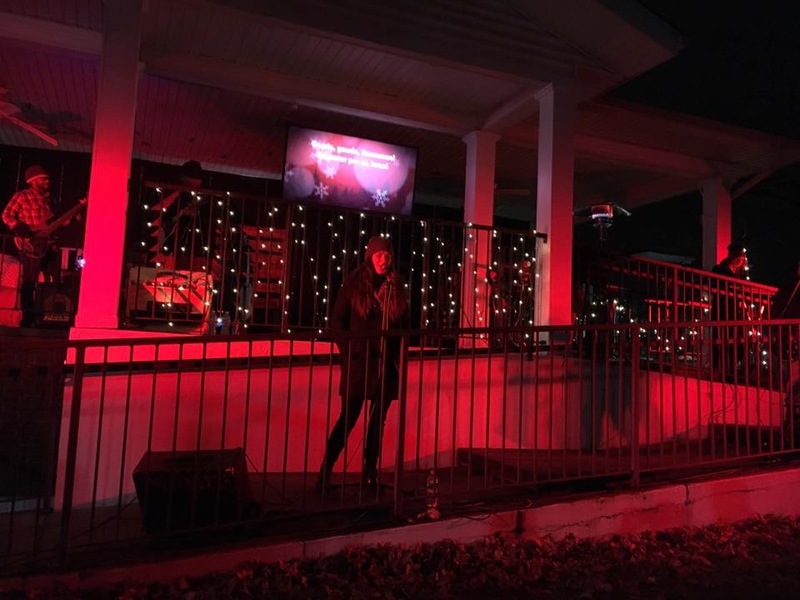 So when the game-changers at our church decided to host an outdoor Christmas Eve service, it just seemed to be the most obvious decision we could make! 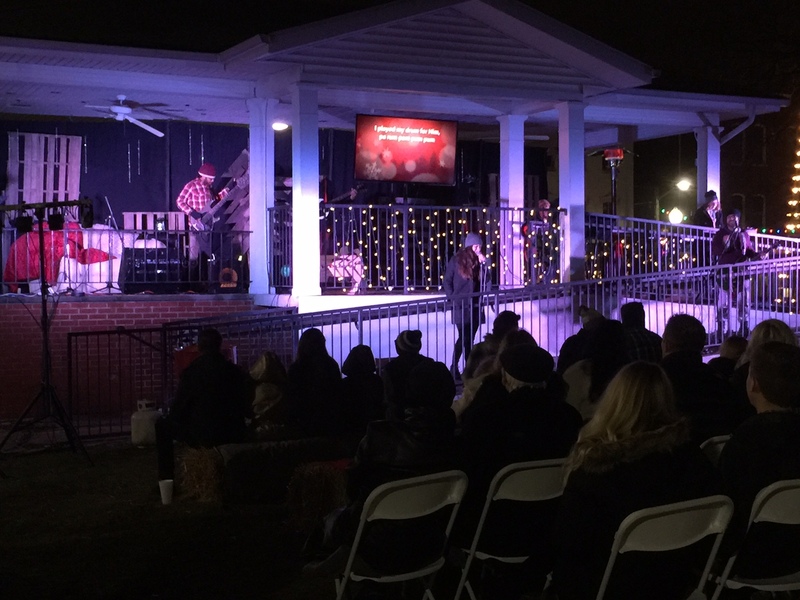 Despite the numbness in our musicians' fingers, bone-chilling practice temps, and uncertain weather conditions, we pressed on and had the most eXtraordinary Christmas Eve service we ever could have wished for! LifechurchX 's eXtreme Christmas Eve service may be best described as an eXercise in contrasts...something that miXed the feeling of George Bailey's wonderful life in with the sights and sounds one might eXpect to find at a crunchy, modern-day rock concert. 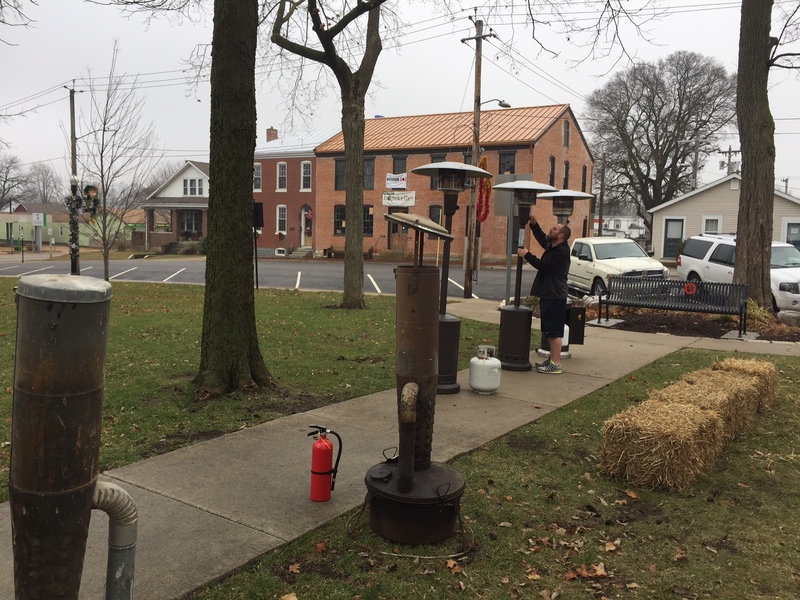 The event was held at the Bandstand in the middle of Waterloo, Illinois' historic Town Square, where church members offered attendees blankets and a choice between a cup of heated apple cider or hot chocolate to help keep them warm, from the inside out. 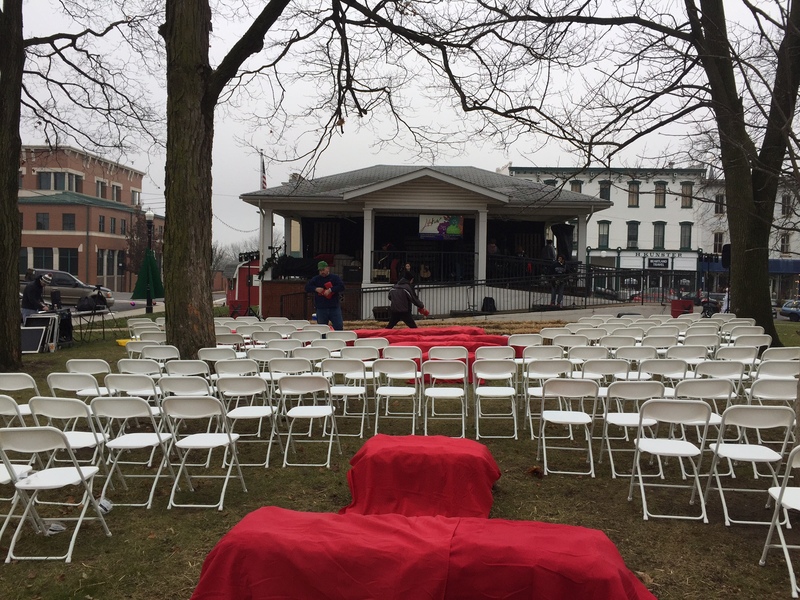 Filled with anticipation, our guests began to settle into chairs or perched themselves atop hay bales as the familiar intro to "Oh Come, Emanuel" shifted into a power ballad and poured out over the 160+ person crowd. The lights and sounds filled the entire square with a unique yule time celebration, that we were later told was unlike anything the town has eXperienced before. 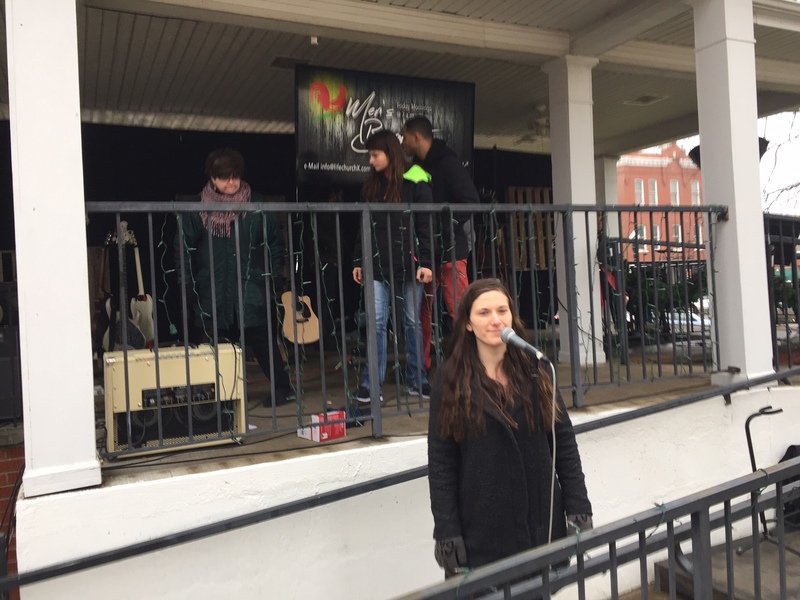 Looking over the crowd of smiling faces and snuggling families, the emotion of the event transcended the recent news reports of mass division and mayhem and transported us, like the spirit of Christmas-past, to a time where community and unity were always the order of the day. 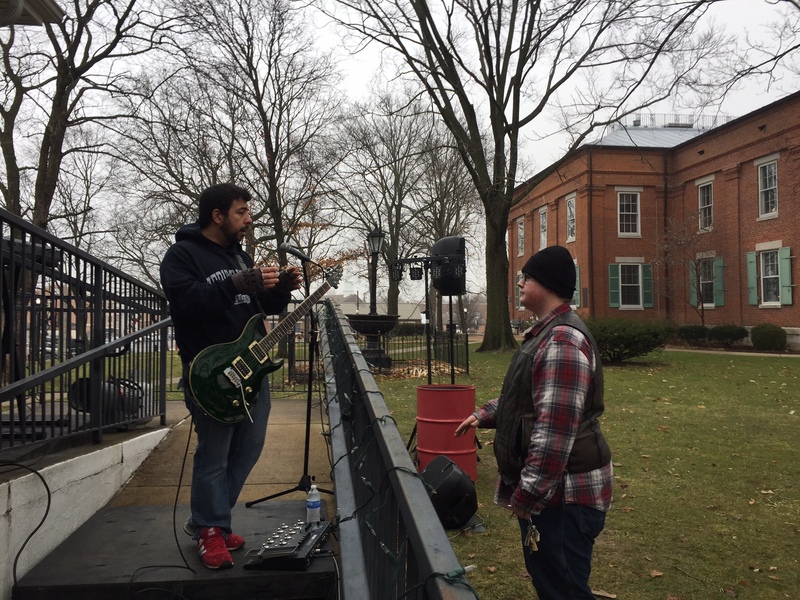 As Pastor Matt took the microphone and shared a powerful Christmas message, the name of Jesus echoed off the buildings and traveled down the streets. It was an amazing night to celebrate the birth of our Savior and honor Him as a community. At the close of this event, as individuals and families prepared to attend their more traditional celebrations, we were marked by the feeling we had just been part of something really special. It was a beautiful evening in Waterloo, Illinois. One that honored God and directed the attention of this typically fast-paced, crazy season back to the baby who was born of a virgin, in a manager, over 2,000 years ago...the One Who came and the One Who died for each and every one of us. Our God, our Friend, and our Hope...Jesus. At this time, we simply wish to thank each and every one of you who were able to come out and eXperience this special evening with us. May you all enjoy an eXtremely blessed and happy New Year! Drone video footage provided by Curt Simshauser. Click above to view.